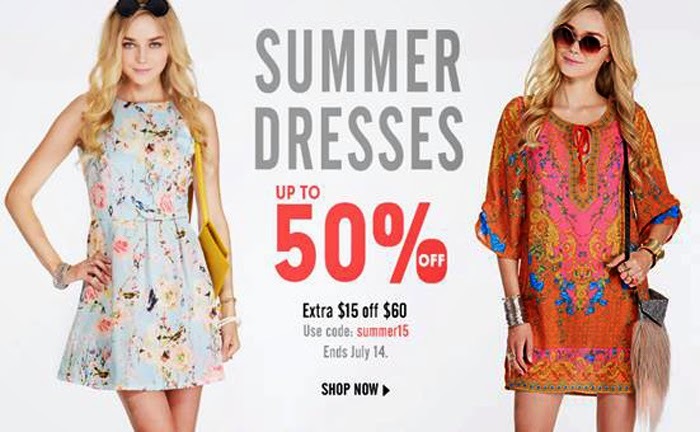 50% Off on Summer Dresses at ROMWE! Up to 50% off on summer dresses! Extra $15 off for $60 and above (use code: summer15). Sale will run from July 8 - July 25, 2014. Free shipping worldwide.